The best thing I ever ate at Marco’s, the restaurant that replaced the original Franny’s on Flatbush Avenue, was a bowl of spaghetti and crushed almonds, topped with salt-cured tuna heart that was grated as if it were some sort of Parmigiano-Reggiano of the sea. It was the kind of dish that, as a diner, I found myself rooting for, not only because it was delicious. It takes no small amount of bravery to put something like cured tuna heart on a restaurant menu: I bet tuna hearts aren’t cheap, and I also bet they don’t fly out of the kitchen the way too-pricey truffled mac and cheese would. A dish like that requires a chef who is at least as committed to his vision as he is to the bottom line, which can be a risky move for a small, independent restaurant like Marco’s. Unfortunately, the risks didn’t pay off, and Marco’s will close next month, only about a year after it opened. It’s a bummer, even though I didn’t exactly love Marco’s, which is named for owners Francine Stephens and Andrew Feinberg’s son. Then again, that’s partly because I probably ate enough dinners and spent enough money at the original Franny’s to pay for the real Marco to spend a year abroad in Florence, and I could never really shake the feeling that sitting in Marco’s felt like being in a bizarro Franny’s with comfier seats and no pizza. But I still wanted it to succeed. New York is a hostile place for restaurateurs — there’s cutthroat competition for skilled staff and ingredients, and rent, of course, is astronomical — which is why you see so many people understandably playing it safe, selling crowd-pleasers like fried chicken and burgers. Meanwhile, ambitious restaurants that profess to offer more unique points of view struggle to attract enough people. Stephens and Feinberg had a bona fide blockbuster with the original Franny’s — almost a decade after that restaurant first opened, the crush of people waiting for a table could be maddening. It was successful in a way that very few places are, so it seemed like Stephens and Feinberg were taking a huge gamble when they moved Franny’s to a larger space, which easily could have disrupted the very delicate balance of tangible and intangible conditions that made it such a hit. (The new Franny’s does feel a lot different, even if the food is as impressive as ever.) But their redo of the original space was handsome, it was staffed with some Franny’s alumni, and chef Danny Amend offered the same thoughtful approach to simple cooking that made the first restaurant such a draw. 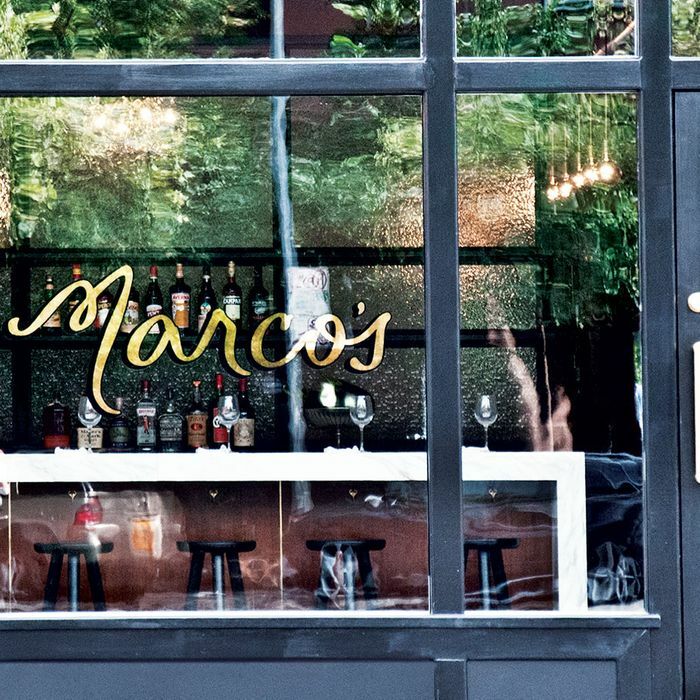 It’s obviously impossible to pinpoint exactly why Marco’s never took off, despite opening to warm reviews from critics like New York’s Adam Platt and Pete Wells. It was probably a bunch of factors: Its price point made it feel like a special-occasion restaurant, it didn’t do much to differentiate itself from all of the other trattoria-like spots in New York City, and there was no single standout dish that made you want to return over and over. Even still, Marco’s is — was — a restaurant with food that managed to be interesting and satisfying without striving for misguided novelty, cooked and served by people who all seemed to care about the customers’ experience. What more can you ask for? Something, it seems, since in the end that wasn’t enough to make Marco’s work. Stephens and Feinberg say they’re weighing their options on what they’ll do with the space, and hopefully it will remain true to the spirit of its predecessor, even if it involves burgers or fried chicken.